The front of the postcards feature his photos, both of himself and the things that inspire him, with the back answering questions from fans or relating anecdotes about the things that drive and influence him. 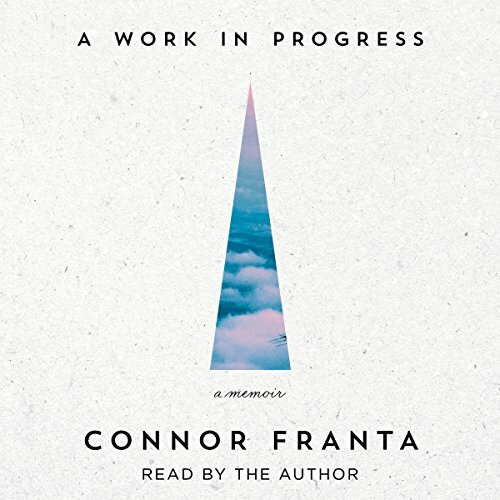 Listened to from start to finish, the book tells a coherent narrative about Connor's coming of age and becoming an adult and the ups and downs that are a part of that. From bullying to dating to leaving home, this is an inspirational book for fans who are growing up and establishing their individuality. The various modes of communication in the book also reflect changes in Connor's own use of technology over the last several years. A cross between an essay collection and a coming-of-age memoir, told in brief, the book is divided into sections, each beginning with a short introduction about what's affected Connor growing up. For example, a section on family begins with a short piece on Connor's family and what he's learned from them, so that his fans can get a greater insight into his life and learn something from it. I absolutely loved this book. I adore getting to know people I love and look up to in so many ways. so getting to hear it and it actually being read by Connor was amazing. I wish there was more to the book but hopefully he will write more in the future. much love Con. Thank you so much, Connor. You've written this book and it's helped me, as well as other, so much. The physical copy is great, but the Audiobook is so much better, your voice actually reading what you've written to us. Thanks. A Lot. I loved it! I would recommend this to any one who wants to read it. I chose my ratings because this book was perfect! I haven't read books in a while, I loved them as a child but as I grew up I stopped. This is essentially the first book that I bought/downloaded. This is coincidentally my first audio book, ever, and it was nothing short of satisfyingly fulfilling. It might seem trivial, a 22 year old writing a memoir, but it's a little more than that. In a wonderful way it offers you new perspectives, it's an opportunity for you to re-evaluate your life, where you are and what you're doing, whether it is what you want your life to be. Amazingly relayed by the author, so you know exactly what tone, emotion and feeling each word, sentence and paragraph should evoke. It's much like a roller coaster, a collection of emotions, happiness, sadness, pity, envy, joy etc in a unique way that makes you want to go out there. I'd encourage everyone to get a copy, get a copy so that it can offer you the new perspective your life needs, whether you're feeling overwhelmed, that perhaps you can't go on any further doing what you're doing, or whether you need assurance, get a copy, listen/read the book and get the answer you need. In retrospect, I was sad when it ended, but happy as to what I can take from it (the experience of the book) all. I'm definitely looking at it all differently. Finished the same day I downloaded it. At times I smiled and other times I revisited my own past. This book is such an amazing inspiration to just make the most beautiful memories out of life. I found this book very relatetable to my own life, so i adored it! I usually listened to this on the walk home from school and it made me come home with more motivation to do homework, a more positive attitude, and helped me to appreciate even the smallest things, like a cluster of flowers on a bush on the way home. I love Connor so much, not just his videos but as a person, and his creativity and passion and intelligence just all came together and was evident in his writing. I honestly am going to re-listen to this whenever I feel down. Thank you for this piece of art! even if you say, it often breaks up. I'm stuck in a bad time right now. But you just spoke the words out I was thinking about LIFE. Die verschiedenen Perspektiven auf ein Leben sind sehr interessant beschrieben. Das Buch beinhaltet viele Denkanstöße und Ratschläge fürs Leben über die man allesamt nachdenken sollte. An manchen Stellen ist es etwas langweilig und zieht sich über ein längeres Stück aber im gesamten blieb meine Aufmerksamkeit an Stelle. Gestaltungstechnisch bin ich sehr zufrieden, da es sein erstes Buch war.